This post is a part of the Wine Apps series, introducing different wine apps available on the market. 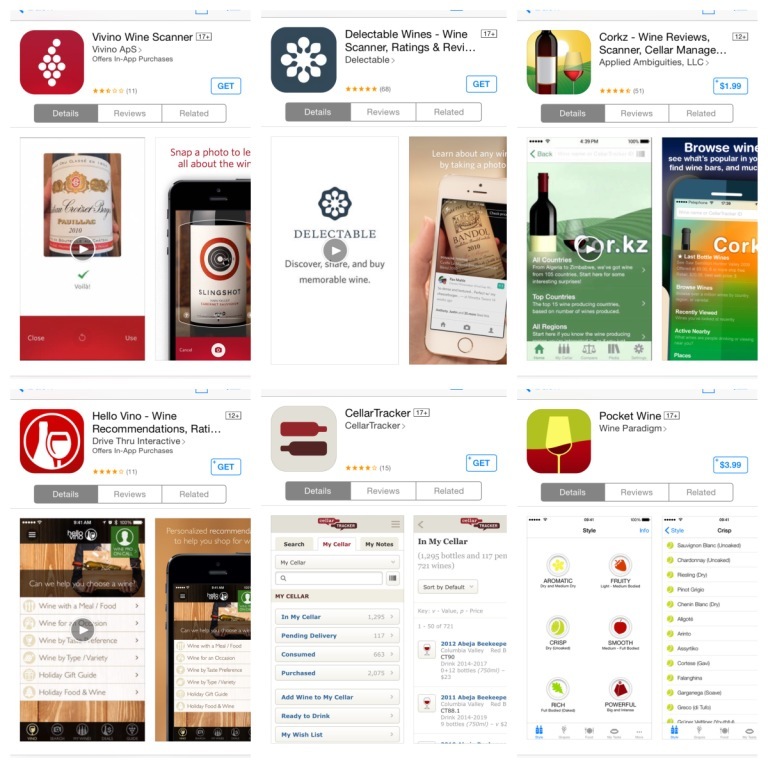 In this series, I offer all the interested Wine App makers an opportunity to present their applications to the readers of this blog in a short and concise way. Today I would like to introduce to you the wine app called CorkSharing. This blog post is written by Bryan Petro, CEO & Founder of CorkSharing. Please note that this post is provided as is, strictly as a service to my readers and it doesn’t constitute my endorsement of the app. CorkSharing is one of the world’s first marketplaces for wine enthusiasts to schedule and book wine tastings, winery tours, and wine events from wineries around the world. 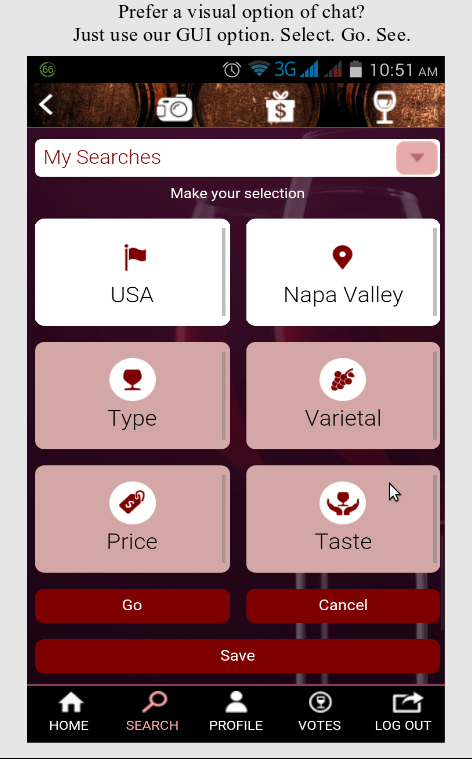 In addition to its online platform, CorkSharing now has a mobile application available for Android and iOS users, making it easy for wine lovers to book on the go. The CorkSharing app was designed with ease-of-use in mind. 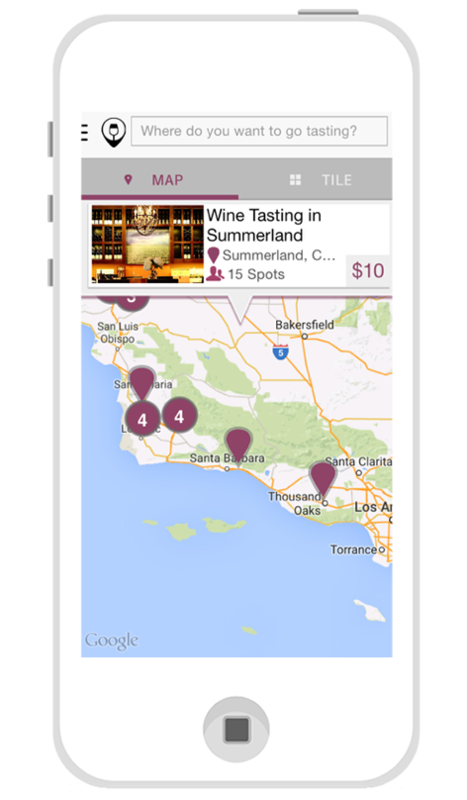 Built-in geolocation functionality makes finding nearby wineries and wine tasting events a breeze. With wine tourism on the rise, this feature is particularly useful for wine tourists that are exploring new wine regions. Additionally, the search capabilities allow users to search for events based on a number of criteria (city, date, price, varietals). Currently, 450 wineries in 32 US states and 19 countries are registered with CorkSharing, making CorkSharing’s app the best friend of any wine tourist. Once the right experience is found, the user can reserve and pay for a tasting using CorkSharing’s secure mobile payment platform, and manage their bookings through the CorkSharing itinerary tool. Users even receive an electronic ticket which can be used for admittance to the event. Wine tourists aren’t the only ones benefiting from CorkSharing’s innovative new app. Wineries and hosts are also embracing the technology as a means to generate additional revenue. 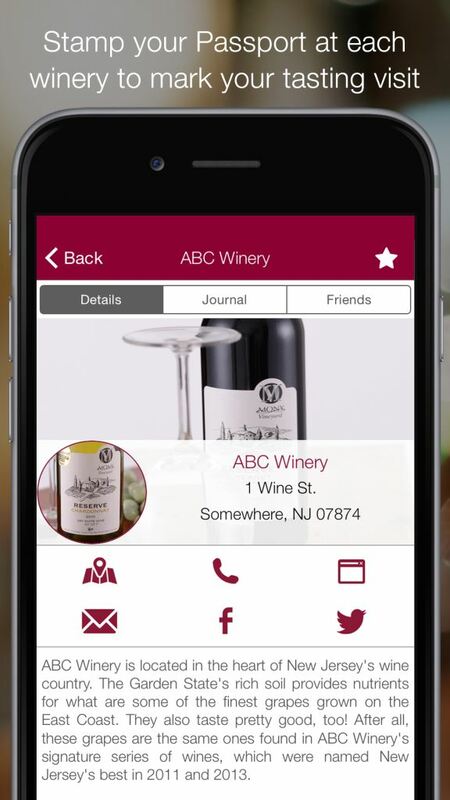 The app allows wineries and hosts the ability to manage reservations directly from the mobile interface. Wineries can receive reservation requests and approve guests from anywhere they have coverage. Additionally, CorkSharing empowers wineries by providing them with more on-the-go control over reservations. While other reservation platforms make it so that once a user books a session, the winery or host has no choice but to accept the booking, CorkSharing’s two-step validation process gives wineries the power to approve or decline a reservation should scheduling conflicts, private events, insufficient staffing, or other issues arise. To help wineries manage their incoming CorkSharing reservations, a ticketing tool has been built into the app. Guests can simply show the host their printed or electronic ticket and the host can use the app to scan the ticket and confirm validity. With its mobile app, CorkSharing is making the wine industry more accessible, particularly to members of the younger demographic who are increasingly reliant on mobile reservation platforms. By bringing together wine lovers and wineries through mobile technologies, all parties benefit and the wine industry is made a little more innovative every day. CorkSharing mobile app can be downloaded today at CorkSharing.com/Mobile. This post is a part of the Wine Apps series, introducing different wine apps available on the market. In this series, I offer all the interested Wine App makers to present their applications to the readers of this blog in a short and concise way. Today I would like to introduce to you the wine app called Winescapes. This blog post is written by M Rajagopal (Raj or Rex to friends; @rexraj on twitter), a Co-Founder & Director with Buzzle Networks, a developer of the Winescapes application. Please note that this post is provided as is, strictly as a service to my readers and it doesn’t constitute my endorsement of the app. Winescapes is a social wine app with commerce features meant for casual wine drinkers everywhere. Winescapes helps users to find most popular wines meeting their preferences and budget in a store or online, using the unique text chat search feature or the GUI version of this. The chat and GUI search are designed to help users search for the wines the way they think, i.e. “USA, California, Chardonnay, Fruity, 20” (20 here is the price limit in the local currency, so it would be $20 for US). As the result of the search, users will get a set of most popular matching wines rather than only one wine to choose from. This is unlike other search options which show only one wine at a time using name or a label. Matching wines are sorted in descending order of peer votes across the system. Nearby merchant stores with their offers are automatically shown during wine results, if required permissions are set by the user. User’s wine actions are: Vote Up or Down, Add to Wish list, Cellar and Shopping List, Recommend to followers, Share with social network. Using camera action, user can share a wine label image including the vote and review with his/her Winescapes and social networks on FB, Twitter etc. The cumulative number of Votes and other counts help users make purchase decisions. The user can see less or more details on a wine from Wine Summary and Detail respectively. He/She can also see offers/deals from registered merchants and to find suitable merchants, both offline and online, and see their wine catalogs. Winescapes’ social features include people search, follow, invite to WS. Wine results can be seen across Winescapes or only within My Network. Notifications show My Network’s wine and other actions since last login. User Profile shows all “my past wine” and people actions. Permissions can be set at a granular level for each activity as Share or Private for Votes, Wishlist etc. The IdeaXchange Q&A forum in the latest release allows users send wine queries to the Winescapes network. Currently the database has top selling wines in California, New York, Florida, New Jersey, with more wines being added daily. Do You Have Wine With Your Apps? And the subject of today’s post is … Apps. No, I’m not referring to the appetizers here – lets talk about the wine phone apps. Smartphones became extremely popular and widespread nowadays, same as wine (hmmm, is there a connection here?). Smartphones deliver incredible convenience and power of information, available at any instance, day or night, as soon as as one desires to obtain that information. For the most of the time, the information is obtained with the help of so called “Apps”, which is a short for Applications, known in the old days simply as “Programs” or “Software”. But let me not get away here on a tangent, as the plan is to talk about wine. The Wine Apps, to be more precise. Wine lovers generally want to have some ways to keep track of what they drink, what they like, what the others think of that wine, which wineries they can visit when they travel, what is in their cellars or where to find that particular wine they just had yesterday. And as you would expect, there are apps for all of these tasks. Quick disclaimer: I’m an iPhone user, so everything I will say here will be pertinent first of all to the iPhone apps – however, I expect that most of the same apps should be available on Android phones. And another quick disclaimer – all the numbers and all the apps I mention here are current as of the date of this post (take a look on the top of the page for that). Wine is popular today, and it shows in the number of apps available in the App Store. Over the few days as I started working on this post, the number of available apps was steadily increasing, adding new hits daily. The number of apps found searching for the keyword “wine” went from 2,993 two days ago to the 2,998. Of course this is a far cry from 38,877 results in the “travel” category, but still a lot more than many others, for instance, “gardening” at 542. “Wine journal” type – these apps let you keep the records of what you drink, what you liked and so on. These apps might also help you look for the wines you liked. Examples would include Delectable, Drync, Vivino and others. Cellar/collection management apps – CellarTracker would be definitely the top example. Wine information and research – Wine-Searcher and Wine Spectator WineRatings+ would be the top two dedicated examples, but many apps would allow you to research the wines. Wine buying apps – WTSO is a primary example, of course there are more. Wine travel and events planning apps – Wine Events, Winery Passport and Cork Sharing would be some I’m aware of – I’m sure there are plenty more, including some from the individual wineries. “Just for fun” apps – wine quizzes, puzzles and more – Wine Trivia Quiz would be one of the examples, there should be more. Note that I’m not trying to differentiate here between free, semi-free (in-app purchases) and paid-for applications. With some apps costing only $0.99, I don’t think it makes a huge difference. In any case, practically all of the most popular apps are free. Okay, so where am I going with all this? Let me gladly explain. Reason #1 for this post is simply a curiosity. I use very little of the wine apps – Wine-Searcher is very handy, and WTSO is useful. I played some wine quizzes – but was not enchanted with the content (no comparison with Bejeweled Blitz if you want to know my vice). So while I’m not actively using the wine apps, I’m sure that many of you are – and this is what I would like to find out. Leave a comment about your favorite wine apps (if you care, add a few words as to why you like it) – or take an easier route and check your favorite apps in the poll below. You will be able to select up to 5 favorites, or write-in. Reason #2 – with such a variety of the wine apps in existence, I would like to offer a “platform” for the any wine app maker to explain their application better. If you have or working on the wine app, and would like to present it to the readers of this blog, please send me (contact info in the About section) a short write up – 2-3 paragraphs, about 350 words, 1 – 2 pictures. Your writing can’t be an advertizement, advertorial or a press release – it should be a genuine explanation of what your app is for and what are your differentiators. If your post will fit the criteria outlined here, I will be glad to publish it as a separate post. So, what do you think of the wine apps? What are you using, or planning to use? Chime in, don’t be shy! Cheers!